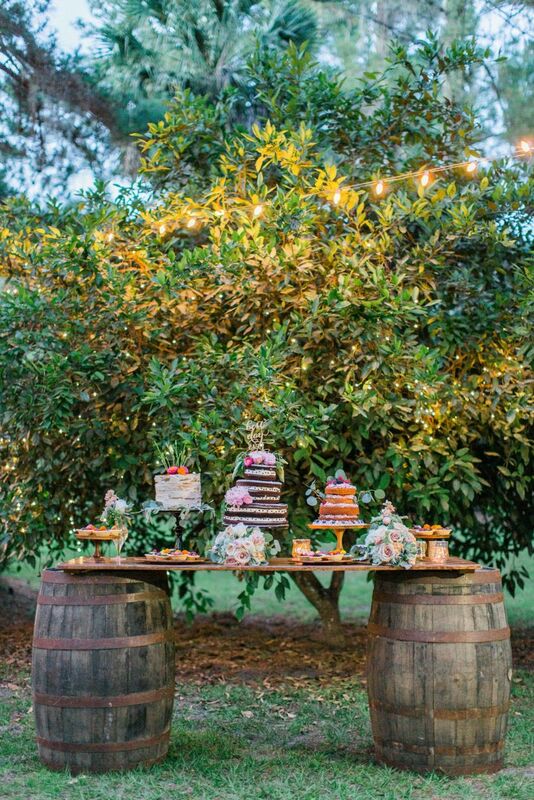 Dessert tables have come a long way from merely being a place to put the cake. 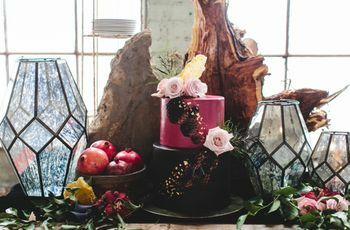 For what used to be a lone circular table housing a giant white confection has now transformed into a decorative feast of sweets. 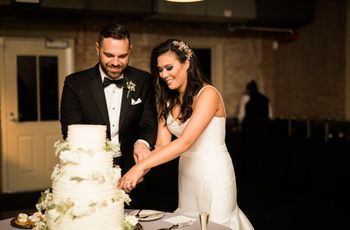 Arguably a wedding staple, the dessert table is now seamless with reception décor and a way for a couple to show off their personality. 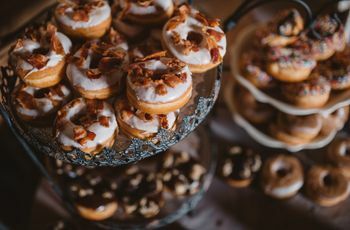 Whether it’s a trio of mini cakes, tiers of cupcakes, or a delightful donut bar, it’s no longer confined to the traditionalism of a sole cake. 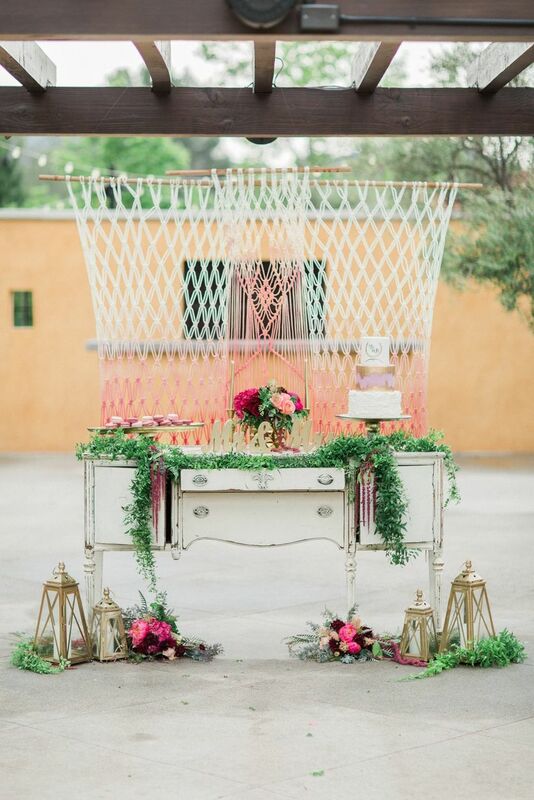 So how do you make sure your dessert bar lines up with your wedding style? Take a cue from these ideas. This dessert display is rich in minimalism. 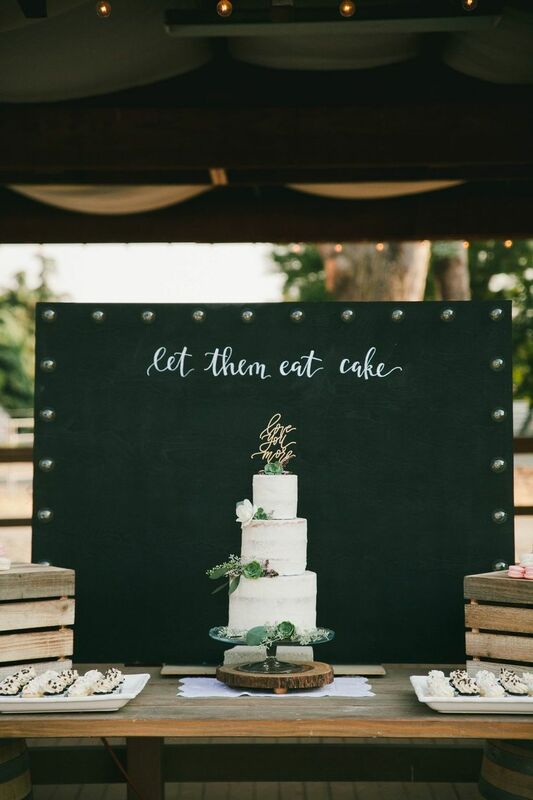 A stark white cake flanked by two trays of cupcakes pops against a heavy black backdrop marked only by elegant calligraphy. When designing a minimalist dessert bar, keep things simple. Don’t overdo it on the amount of desserts, and for the desserts you do have, lay off on extravagant details. Their beauty will shine in their simplicity, and a stunning blank backdrop, such as this one, will compensate for a bare table. Macaron towers set beneath a canopy of blooming wisteria makes for a dessert table that looks like it’s straight out of a Parisian garden. 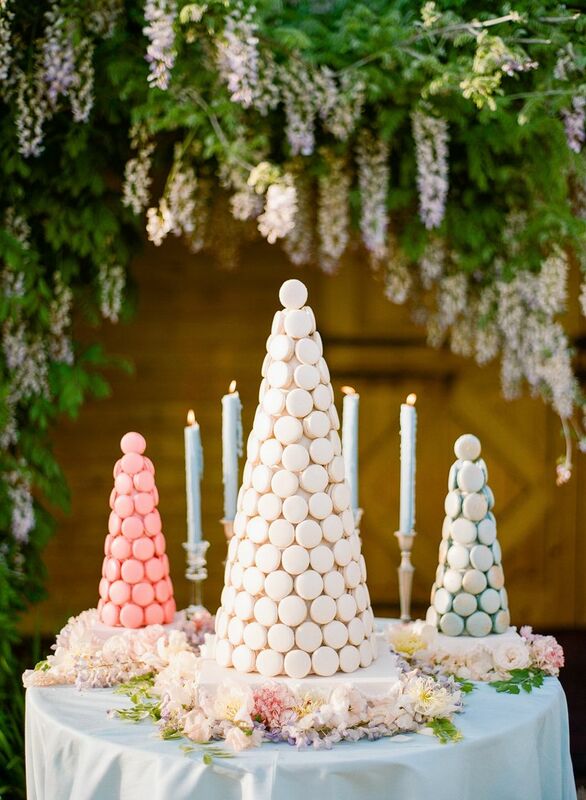 To bring a chic feel to your display, a pastel palette always holds a promising touch, while macaroons in lieu of the traditional cake evoke a Parisian vibe. And who’s more chic than the French? Arrange the desserts in an elegant, sophisticated fashion, like this trio of turrets. Old wine barrels act as table ends with a wood plank for a bit of bucolic charm, creating a laidback vibe. 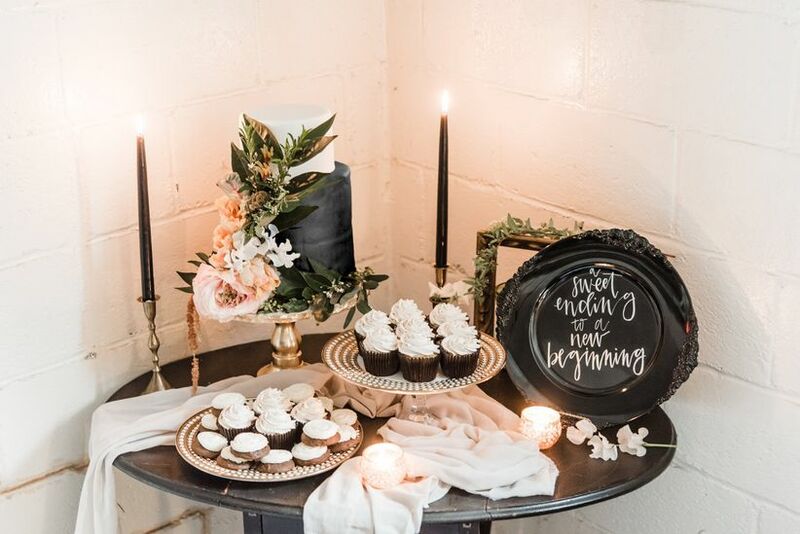 Anything made of wood, from wine barrels and tree stump chargers to old crates, is a classic staple for creating a rustic-inspired dessert bar. As far as the desserts go, if this display proves anything, the raw and natural naked cake is the perfect complement for an earthy spread. Black accents and blush hues juxtapose with one another to set a moody tone with a hint of old world romance and modernity. To create a table that is sweet not just in desserts but in romance, flower petals and illuminating tapered candles always do the trick. Combine them with gilded accents and airy cascading linens for an ethereal touch. This is one piece of décor we haven’t seen in a wedding before. 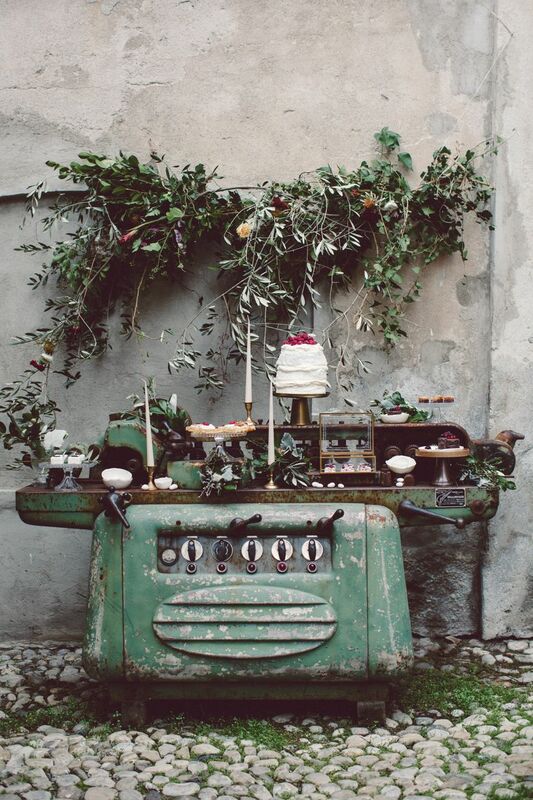 An antique industrial sewing machine channels the past as a unique alternative to a table, its varying levels allowing for a decadent arrangement of desserts. 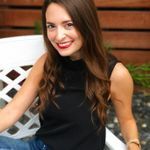 Call upon any aged piece of furniture or heirloom from a previous decade to give your display a vintage twist — an old dresser, a worn chest, an Art Deco bar cart. If it has a distressed look like this popping green machine, all the better — that will do all the talking. This set-up is vibrant in color and texture, playing with an ombre macramé backdrop and lush greenery with bursts of magenta. When crafting a bohemian display, look to nature for inspiration. Infuse elements such as wild flora and fauna, geodes or agate, or succulents for a natural touch. Don’t be afraid to go alternative — decadent color schemes or unexpected fabrics like crochet or fringe will bring in an eclectic vibe. The classic white cake gets a contemporary twist in the form of five mini cakes, accented by bold blooms and fruits for a zest of color. For a dessert table that will never go out of style but still has a modern feel, take inspiration from this display, which depicts the perfect compromise. 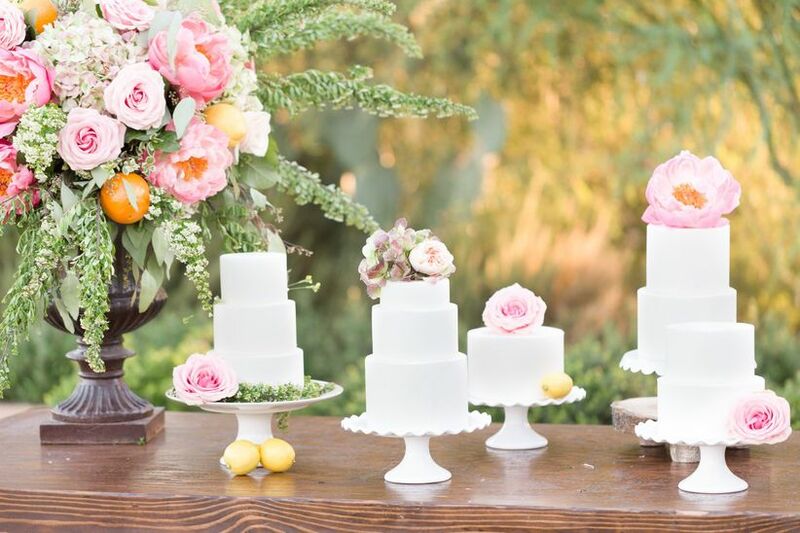 Flowers, especially in standard pink, and white cakes have proven to stand the test of time, but multiple cakes and citrus accents make the look more current.